Jazeera Airways Terminal Facade, Kuwait International Airport. Photo © Gijo Paul George. 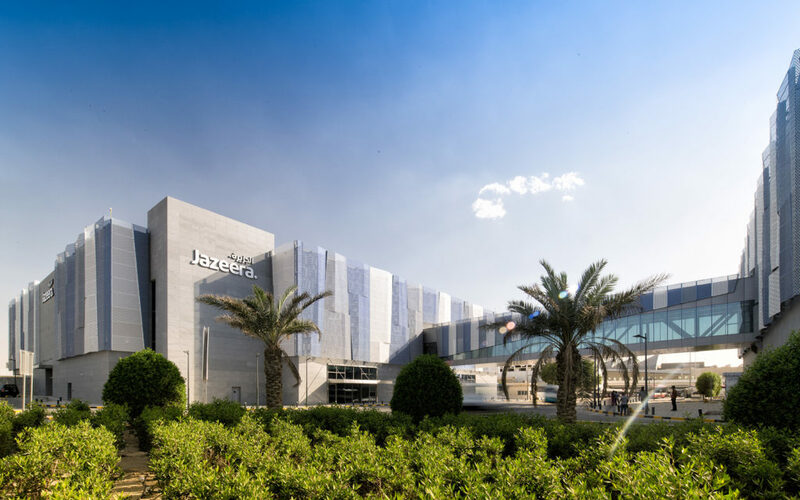 Jazeera Airways, the first Kuwaiti and Middle Eastern private airline, brings the essence of its company to the façade of its new terminal, located in Kuwait International Airport. 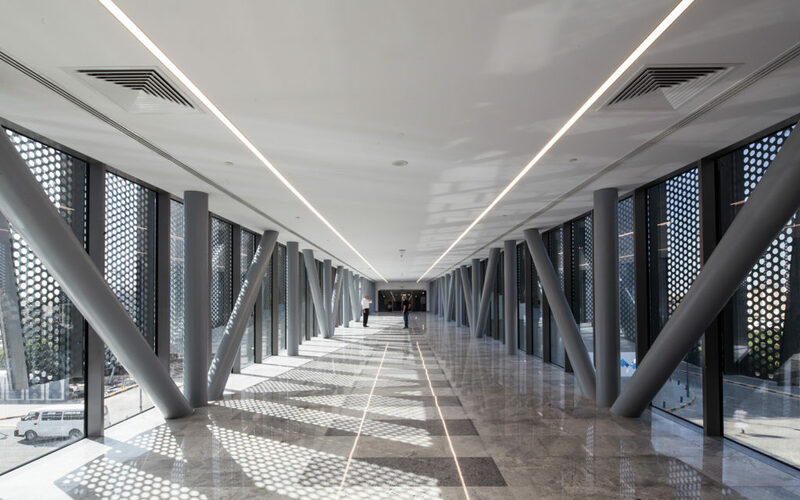 Pace Architects, well-known consultants in the region, have developed the building, which will welcome more than 2.2 million passengers in its initial phase and as many as 4 million in the years to come. The new terminal includes a car park, the airline’s headquarters and academy, and the hangars. Measuring over 4,000 m², its IMAR perforated façade allows a “backlight” effect which creates a shadow play on the building. Its design is inspired by the diamond in its logo, which is abstractly multiplied throughout the perforated, embossed and folded lacquered aluminium solution, creating distinctive geometrical shapes that bring a unique look to the building. 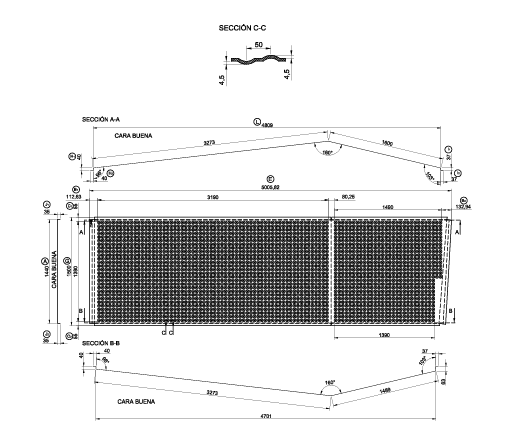 Perforated and embossed interior screen. Photo © Gijo Paul George.